Updated Thursday March 15, 2018 by Kris Marceca. The local high school season has started with the first games under their belt. In concert with the 3 Arlington Public High Schools, AGSA will again be having an AGSA Night at the ball park. On Tuesday, April 17th our AGSA players are invited to attend 2 different Varsity games featuring all 3 Public High Schools. The players, dressed in their uniforms will go out onto the field with the Varsity players as they are announced and be with them during the playing of our National Anthem. They are then invited to stay and watch the game from the stands. Both games start at 6:00pm , but please be there by 5:30 to participate in the festivities. 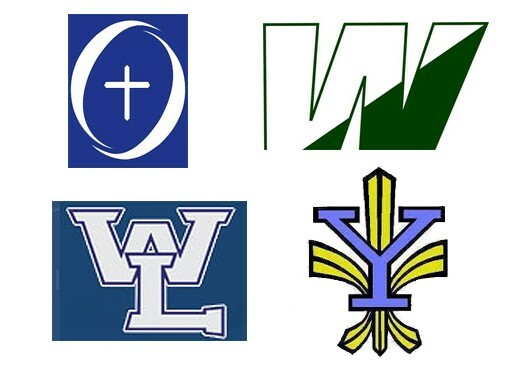 We have 4 Arlington HS teams, O’Connell, Wakefield, Washington-Lee and Yorktown and while this year it looks like none of the teams will be playing O'Connell or Wakefield, there are some exciting other rivalry games that will be fun to watch. These games are not only here in Arlington, but unlike games played in Fairfax County, these games are FREE! The three Arlington County public schools all have really nice facilities to view softball! O'Connell is taking the field this season at the awesome facilities at Tuckahoe! Take a look at the different schedules and take some time to head out and see some games – noting too that each team features former AGSA and Sage players! * This will be a well attendened and exciting game - OConnell won the state title for private schools last year and Madison won the public school title! AGSA/Sage players are also playing in other programs such as George Mason HS, Falls Church HS, and beyond! Take advantage of the great opportunity to see some live HS softball this season!